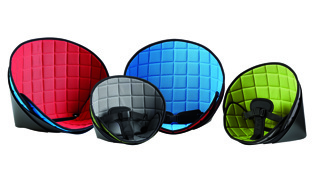 See more objects with the tag interior, circles, decoration, seating, brightly colored, line, sleek, innovative, cone, chair, wool. See more objects with the color firebrick maroon sienna or see all the colors for this object. 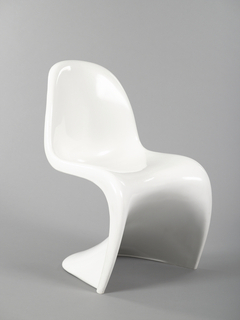 This is a Chair. It was designed by Verner Panton. It is dated 1959 and we acquired it in 1986. 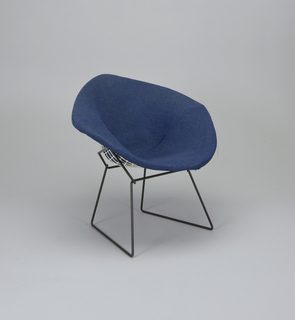 Its medium is cast steel, foam rubber, wool upholstery. It is a part of the Product Design and Decorative Arts department. 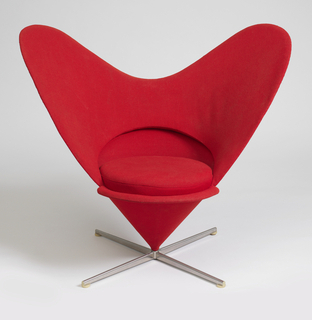 Danish designer and architect Werner Panton created some of his greatest designs from experimenting with form, materials, and rich color, the latter being one of Panton’s trademarks. 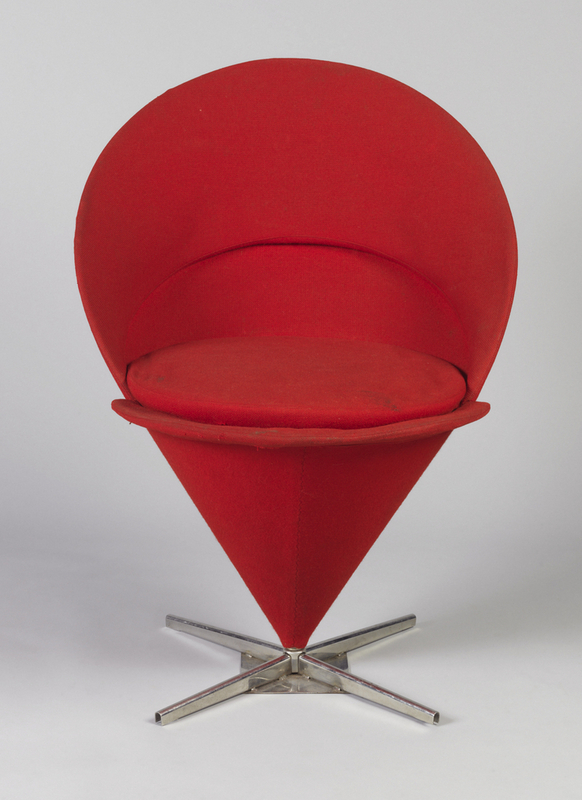 Color was often a focal point in his furnishings, as seen in this vibrant red, futuristic looking cone chair. In his later work, Panton created rooms as total environments, focusing on textiles as coordinating elements and a means of expressing color in a unified interior.